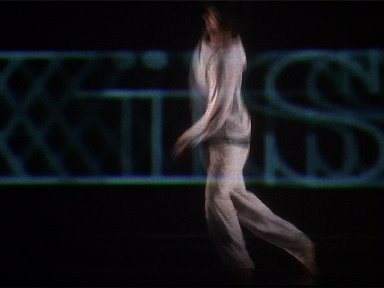 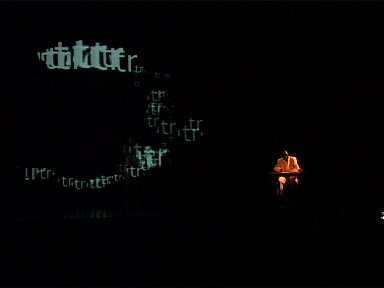 Description > .txt is an interactive performance work, mediated by several sensorial technologies, that explores contemporary transversal forms of artistic languages. 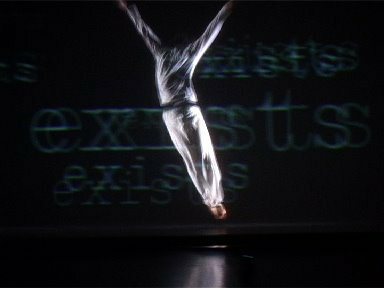 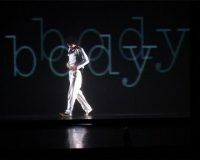 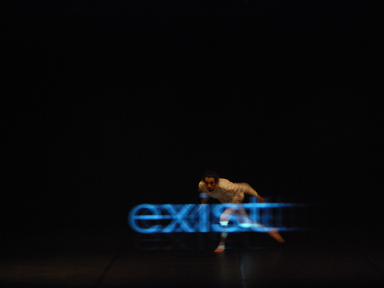 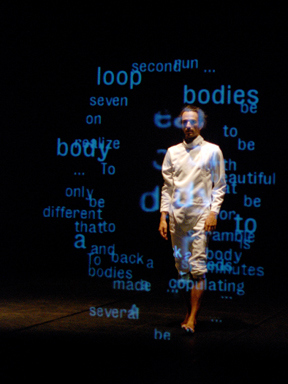 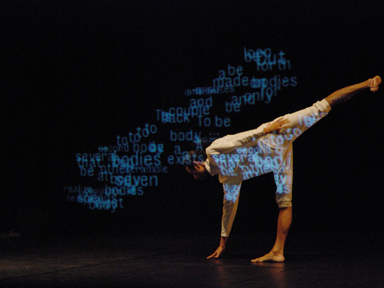 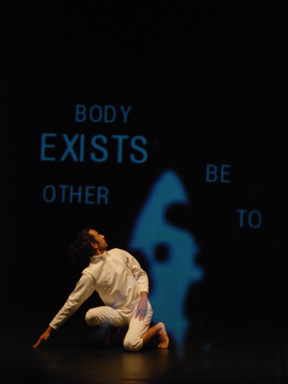 The result is the creation of a unique vocabulary articulated physically, through interactive soundscapes, visual composition and real time choreography; an array of artistic expressions that support the dramaturgic intention. [Multimedia National Prize 2010, Art and Culture).